A win makes things seem grand. Especially a Subway Series win by our New York Mets. 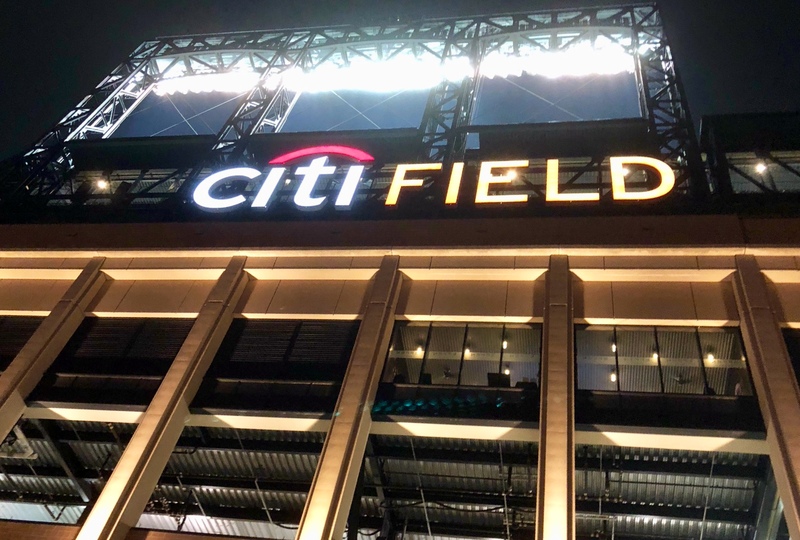 As my dear wife Karen and I walked around the concourse of Citi Field to wind our proper way back to the bus following the 2-0 victory over the New York Yankees Sunday night, the lighted decorations of Citi Field called our names. Take a picture of that, she urges as we came upon banners of the current roster. 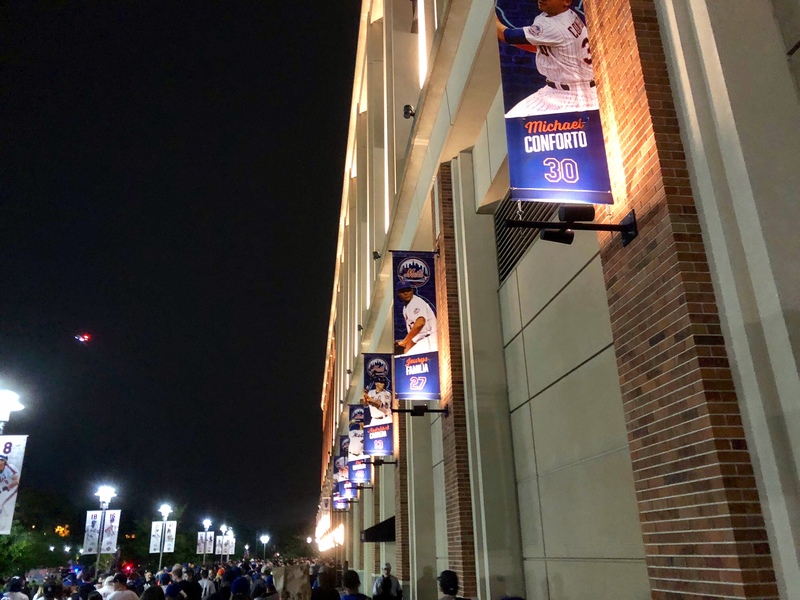 I needed no push to take a photo of the Mets Hall of Fame names. And we both took a last moment to admire the stadium that allowed our hours of enjoyment. Yes, the topper made us happy, Beth. How fun for you both!! 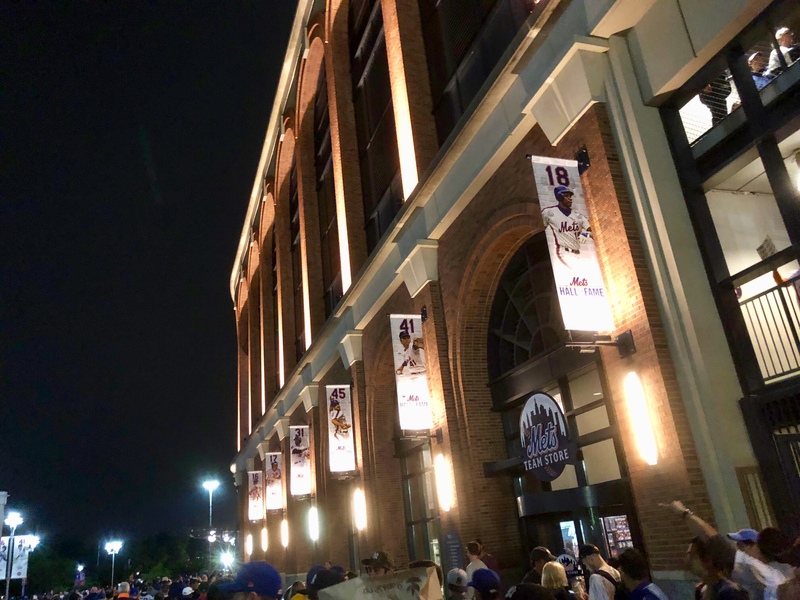 We love to get to the Mets stadium once in a while, Nance. The walk back is ALWAYS better when your team won!!! Yes, we were so fortunate, MBC!